Hippie, Bohemian Upcycled Clothing and Accessories. clothing and accessories to help every woman feel beautiful and special. You deserve only the best in handmade, so step into a whimsical and magical world and get ready to be dazzled. 100 % upcycled outfit called “Dragon Girl”. 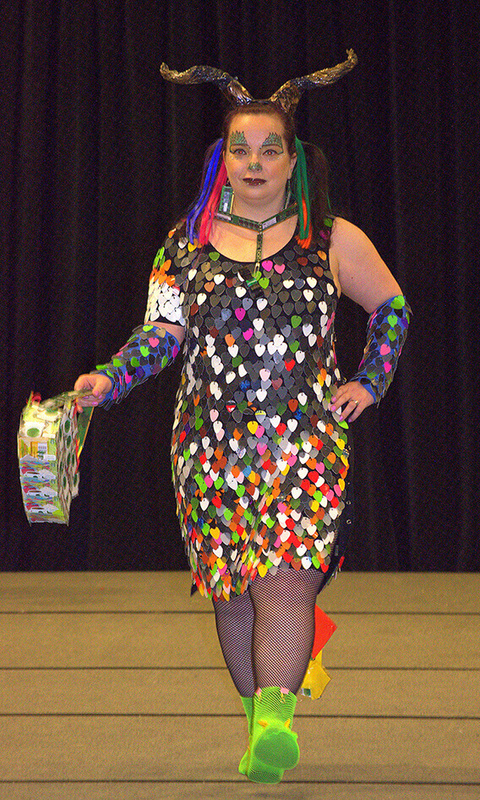 2nd place Winner at the Upcycle Oregon Fashion Show in 2016. Original Design by Erin Bass. Join the Dramatique Designs exclusive VIP Club by entering in your email address below, and be the first to know about yummy discounts on whimsical clothing, and accessories, exciting eco fashion news , and so much more! Follow us on social media for special treats! Subscribe to our exclusive VIP club and get 15 % discount on your next purchase!